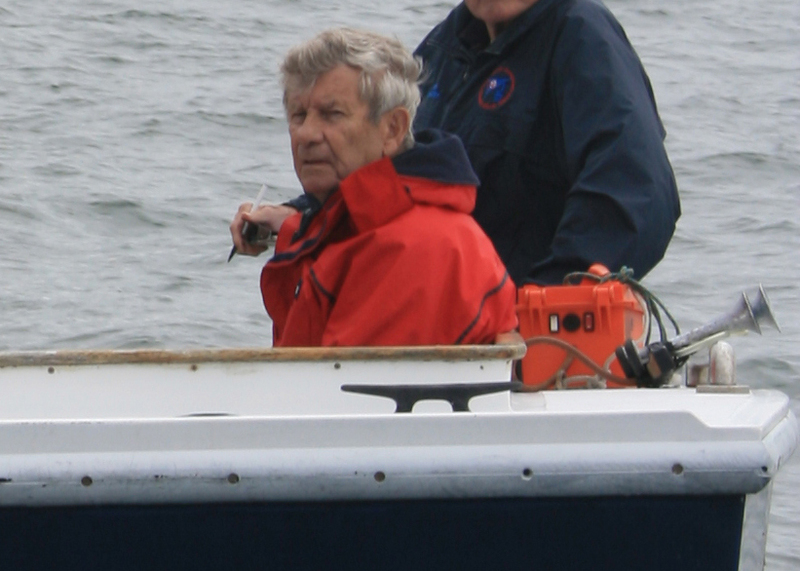 Anyone having knowledge of these or other skippers that have Passed Away would you please contact Roy Guay so that the information may be posted here in memory of them. - Passed away the week of 10 May 2010 in Rhode Island at the age of 70 after one year of fighting cancer. - Bob raced in the 1989 and 1991 Bermuda One-Two in his J35 Julie. - Bob dreamed of racing in the short handed race around the world. He built two Open 40 boats in Russia with that goal in mind. 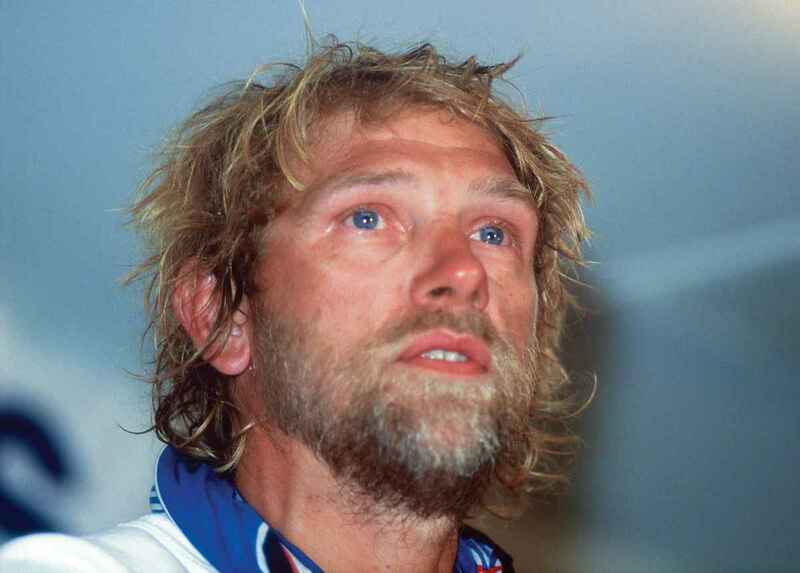 Bob ran out of money and sailed his boat back to the US with only one dagger board while his Russian counterpart Yazkov found funding and successfully raced his Open 40 Wind of Change in the 2000-2001 Vendee Globe Solo Around the World Race. Ever since Bob had been trying to get his boat in racing shape. He had planned on doing the 2009 Bermuda One-Two but the cancer diagnosis changed his plans. - Passed away on March 17, 2014 at the age of 71. - Did the return leg with Bertie Reed in 1983. - Steve was involved with running the race in the early years. - Steve founded the Caribbean 1500 rally. Black started sailing in his mid-30s in regattas hosted by the Grand Haven Sailing Club in Michigan. He had a love for single-handed sailing and made three single-handed trans-Atlantic voyages. 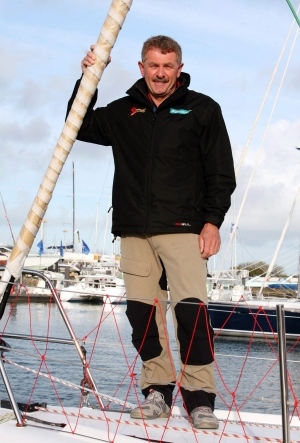 He set a multi-hull record in the Legend Cup with a time of 15 days aboard his Newick 40-foot trimaran. Black’s third single-handed trans-Atlantic voyage was in 1992 in the Europe I, where he sailed his 40-foot IOR racer, Caribbean. After leaving a career in publishing, he served for three years as executive director of the U.S. Sailing Association in Newport, R.I.
Black’s greatest contribution to sailing has been the Caribbean 1500 cruising rally, which first set sail in 1990, with a fleet of 50 cruising boats sailing from Newport, R.I., and Norfolk, Va., to Virgin Gorda, in the British Virgin Islands. - A west coast (USA) designer of cruising yachts. 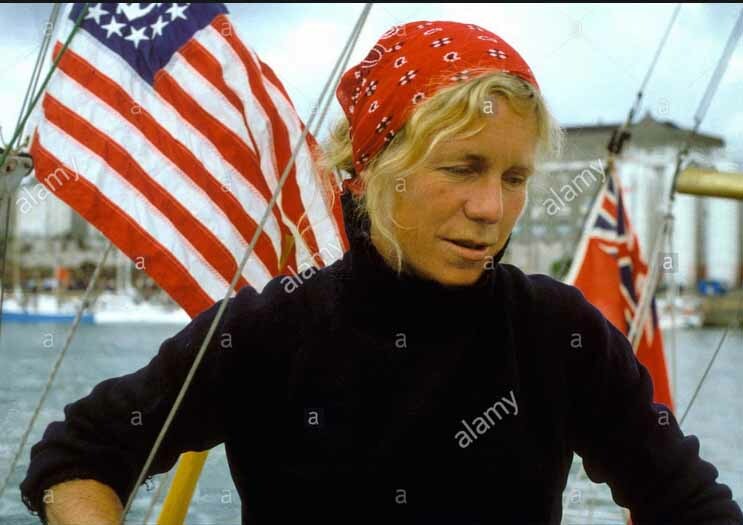 After leaving the Navy in the early 1970's, Cartwright became a dedicated solo long distance sailer, entering a number of single handed races as well as being credited with originating the Bermuda 1-2 ocean race. Most of his designs, such as the CARTWRIGHT 42, catered to the long-distance, shorthanded sailor. Some were built of fiberglass, but none were produced in great numbers and they remain somewhat of a rarity in the used sailboat market. From SailboatData.com. - Passed away 28 January 2011 at the age of 81. - Mark participated in five Bermuda One-Twos (1985, 1987, 1989, 1991 and 1995) in his Freedom 33 Folly. - Mark's wife Lesley Addlem said that Mark loved every one of those races. He must have as he sailed a Freedom 33 which were not know for speed. 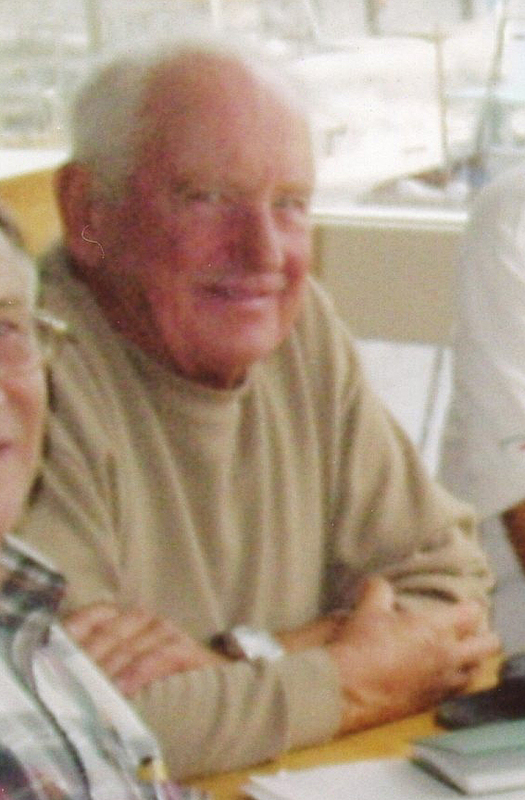 The Bermuda 1-2 lost one of its original and staunchest supporters last week with the passing of Peter Dunning, 91. As dockmaster of the Goat Island Marina, where almost all of the OSTAR single-handers docked after finishing in Newport, Pete knew them all. 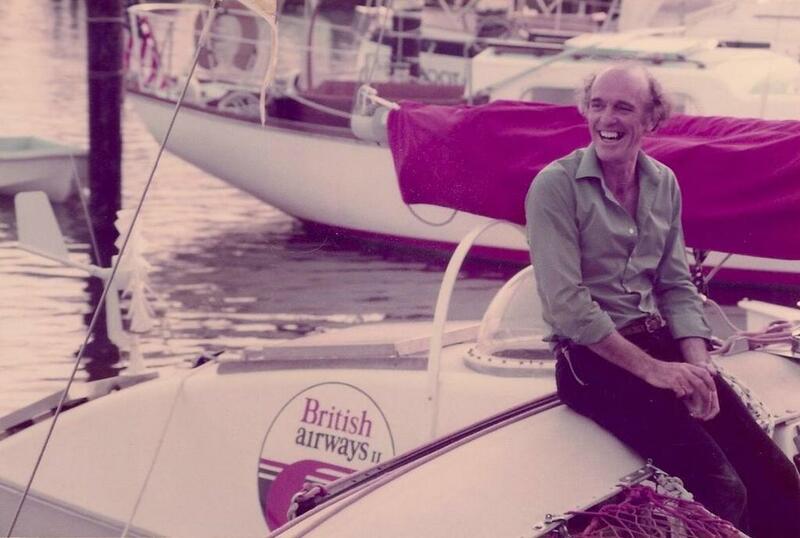 He was instrumental in organizing the first Bermuda 1-2 in 1977, which featured several OSTAR sailors as well as locals. In the 1980s and 90s, Pete coordinated single-sideband radio contact with the Bermuda 1-2 fleets going both to Bermuda and back to Newport. As dockmaster, he offered dockage for B1-2 boats when slip space ran out at Newport Yacht Club. The understood dockage deal was for half the price the marina usually charged, but Pete never bothered to collect. Now Pete joins the handful of other founders including Jerry Cartwright, George Pike, Mel Lash and Charlie Carpenter – as well as a number of early participants – to whom the Bermuda 1-2 owes its heartfelt appreciation. 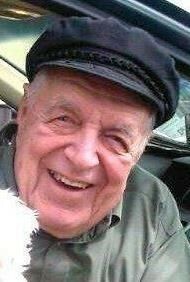 NEWPORT – Peter J. Dunning Sr., 91, of Saunderstown, RI, passed away peacefully at home on Friday, February 12, 2016. He was the husband of the late Jacqueline G. (Sylvia) Dunning. Born in Grays, Essex, England, on October 10, 1924, he was the son of the late John James and Constance (Sutherden) Dunning. Mr. Dunning served honorably in the Royal Air Force from 1942 to 1948 and came to reside permanently in the U.S. in 1948. He began his career in Newport as General Manager for the Douglas Olds-Cadillac dealership where he was employed for several years. 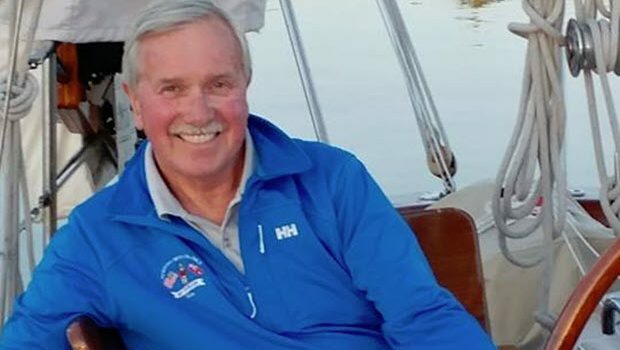 Having a rich family history in seagoing occupations, when the opportunity to become a part owner and managing partner of the Port O’Call Marina in Newport arose, he found his true niche in the maritime world. He relished this role from 1960 to 1975. During the early 1960s, Port O’Call was host to not only some of the America’s Cup 12 meter yachts but a multitude of world renowned single-handed sailors including the likes of Sir Francis Chichester, Eric Taberly, and Sir Alex Rose. After selling the marina, he continued his support for the marine community as manager of the Goat Island Marina, a position many referred to as the “Goatmaster of Dock Island”, from 1975 until his retirement in 1986. He was a friend, advisor and renderer of assistance to a multitude of sailors and ship captains from all over the world. He was involved with the OSTAR Race and the Bermuda 1-2 Race for several years, as well as serving as race operations and communications manager for Around Alone, the round-the-world single-handed race. 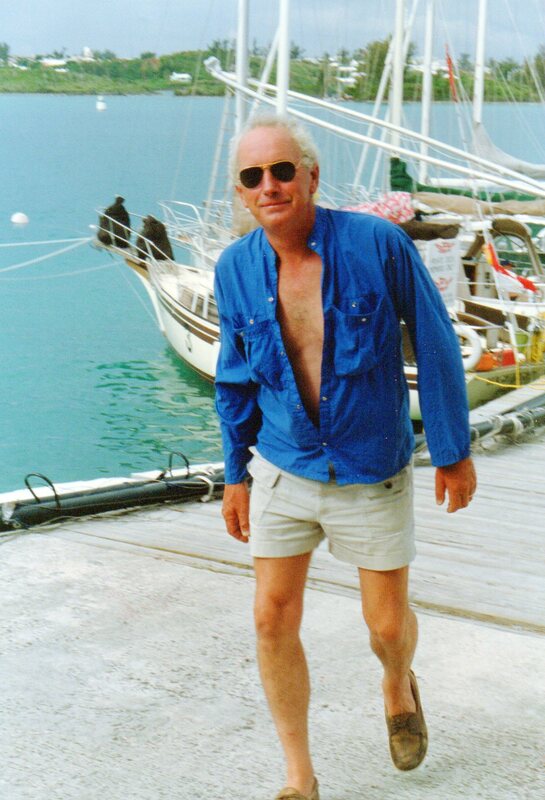 Upon his retirement from Goat Island Marina, he traveled worldwide in support of many races. He was commended on numerous occasions for his assistance in the rescue of sailors in distress. He enjoyed many years of boating on his beloved “King Tut”, with one of his favorite times being the brilliant fireworks displays visible from Newport Harbor. He was well known and well respected for his calm demeanor and dry sense of humor. He was also an avid dog lover, and was rarely seen without one of a series of dogs, most of who were named “Ed” or “Lucky”, by his side. Peter is survived by his children: Joanne C. Spero and her husband Colin of Fall River, MA, Peter J. Dunning Jr. and his wife Mary of Newport, and Jean E. Beveridge and her husband Steven of Saunderstown. He also leaves his grandchildren: Hope Crain and her husband Scott of Portsmouth, David Krugman of Newport, Major Douglas P. Krugman, USMC, and his wife Megan of Montclair, VA, Peter J. Dunning III of Auckland, New Zealand (formerly of Newport), and Kelly Beveridge of Port Orange, FL, as well as three great-grandchildren. He was the brother of the late Joan Martin and her husband George Martin. - Rusty has done the past two Bermuda One-Twos, 2007 & 2009, in his modified Cal 2-30 Williwaw. In his first race in 2007 he tied for elapsed first place in Class 4 with Peter McCrea in the Single handed leg. He was second on elapsed time in 2009 in Class 4. Rusty was never able to do the doublehanded return leg due to work commitments. He was a valuable person in Bermuda with his black bag of tools. He helped many skippers repairing things. 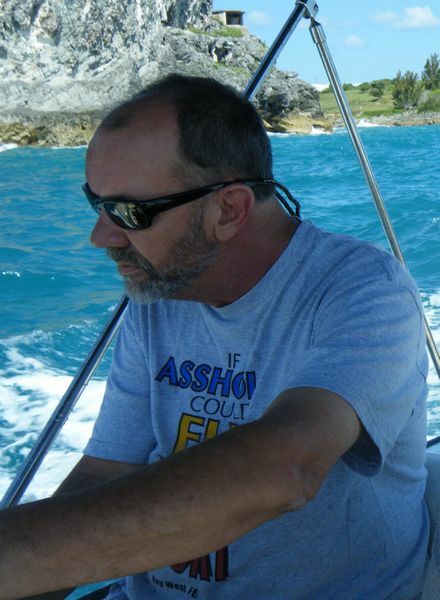 Rusty attended most Skippers' Forums/Parties, coming down from Maine, and was planning on racing this year 2011. Rusty also had a desire to retire and take Williwaw around the world which unfortunately he was not able to do. - BLUE HILL - J. Russell Duym "Rusty," 63, died unexpectedly Jan. 5, 2011. He was born Sept. 8, 1947, in Presque Isle, son of Donald R. Duym and the late Margaret B. Duym. Rusty attended George Stevens Academy, Blue Hill, and graduated from the University of Maine, Orono, with a degree in business administration in 1970. He also served in the U.S. Army as a boat captain from 1971 to 1973. He worked his entire career in some aspect of marine occupations - from manager of Kollegewidgwok Yacht Club, boat builder and manager of Blue Hill Yacht Sales, commercial fisherman, marine mechanics instructor at The Boat School of Eastport, and at the time of his death, a marine electrician for Billing's Diesel and Marine, Stonington. Rusty will be remembered for his many accomplishments and abilities in competitive and recreational sailing. His sailing accomplishments span from Maine Sears Cup state champion, collegiate sailing, and local yacht races to class winner of the single-handed Newport to Bermuda race aboard his sailboat, Williwaw, in 2007. Rusty was well known as a practical and experienced mariner with a quiet, competitive drive. Winning a race was a matter of how well he challenged himself regardless of his standing at the end. Rusty also enjoyed Latin dancing and playing music with Flash in the Pans steel drum band of Blue Hill. He served with Blue Hill Volunteer Fire Department and Ambulance Corps, and was harbormaster for several years. He was known for his willingness to help anyone he came in contact with and his special way with animals. Rusty is survived by his father, Donald of Blue Hill; brothers, Howard and Viola Brown of Southwest Harbor, and Thomas and wife, Amy, of Lamoine; several nieces and nephews. Visiting hours will be held 2-4 p.m. Saturday, Jan. 15, at Jordan Fernald Funeral Home, 141 South St., Blue Hill. A memorial casting of Rusty's ashes upon his beloved Blue Hill Bay will be scheduled for early summer. - Passed away October 2003. - Al raced in the following Bermuda One-Twos: 1979, 1981, 1983, 1985, 1987 and 1991. - In '79 he sailed an O'Day Outlaw named Pantera, which is still in Bermuda, reportedly owned by a member of the St. George's Dinghy & Sports Club. - In '81 he sailed his converted Etchell's 22 El Torero (decked over and a bean bag for a bed) and took first in class in the singlehanded leg. - In '83 he sailed a Fast Forty, and lost the rudder somewhere on the way down but continued to the finish using a bucket for steerage. He won the Mayor's Trophy for Seamanship. 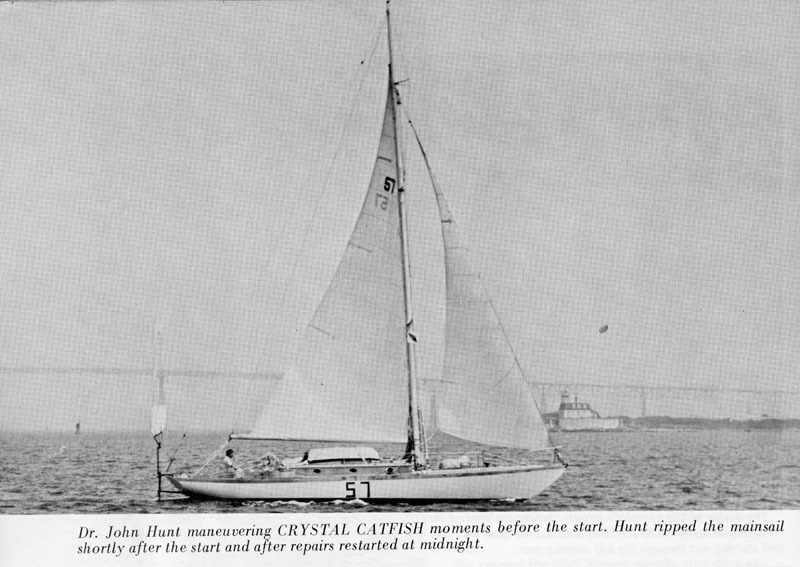 - In '85 he once again sailed the Etchell's and did it in 5 days, 14 hours, and 25 minutes, but probably did not place as I don't see any acknowledgement around. 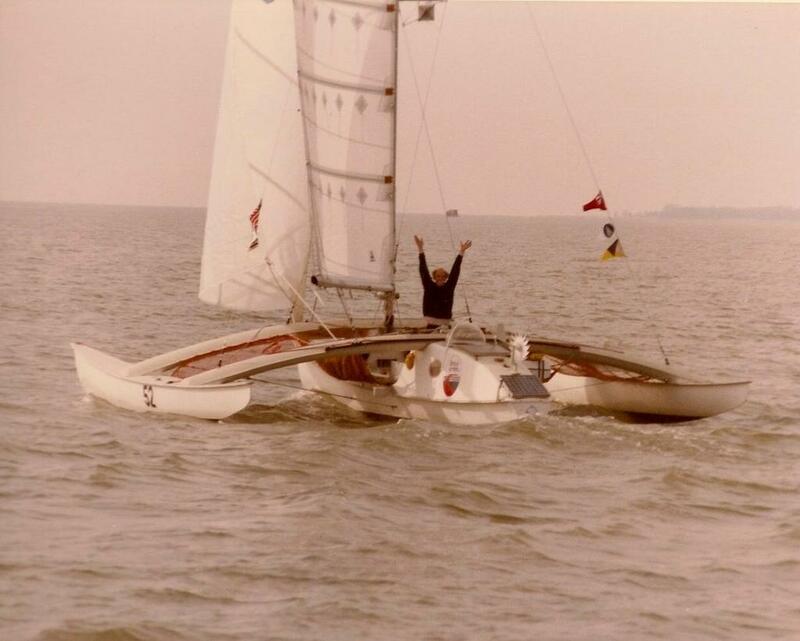 - In '87 he sailed a Nelson Marek '35 (formerly named City of Slidell) named Torero and again placed first in class. - In '91 he again sailed Torero winning first place in Class III. - Passed away on 25 December 2016 at 81. - Stu raced in 9 Bermuda One-Two races: 1983 thru 1993, 1997, 2001 and 2005. Dr. Stuart MacKenzie Heywood died late on December 25. He led a full, active, and adventurous life. He was educated at the University of Massachusetts, Syracuse University, and MIT, and was a naval aviator before obtaining his Ph.D. Primarily a science researcher, he published over 200 papers and books, was mentor to 22 Ph.D. students, and was teacher, scholar, and department head. He was an avid offshore solo sailor, winning three solo Bermuda races, and sailing from Canada to South America. He leaves his daughter Leigh, son Todd, and best friend Christy. - Passed away at the end of July 2016 at 63 after a brief illness. He was born in Newcastle, New Brunswick on 30 August 1952. - Derek was a Nova Scotia sailor who gained international recognition for competing alone in around-the-world sailing events. Derek, a former Royal Canadian Mounted Police officer, was the 126th person to complete an around-the-world sailing race on his own. He was the first Canadian to do so twice - once in 2002-2003 in the Around Alone (finishing 1st in his fleet) and again in 2010-2011 again took the podium in the VELUX 5 Oceans Single Handed Race around the World). - Bill raced in the first Bermuda One-Two in 1977. 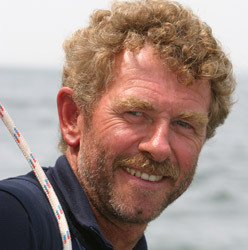 - Bill set a record in 1984 for a westbound Atlantic crossing during the Observer Transatlantic Singlehanded Race. - Passed away 29 July, 2013 at the age of 77. - John participated in two Bermuda One-Two races; 1977 and 1979. The Crystal Catfish Trophy which is given out by the St. George's Dinghy & Sports Club to the skipper that faces a challenging situation during the single handed leg was created in memory of John's Crystal Catfish which was lost on a reef off of Bermuda. - The following is his obituary in the Tampa Bay times Aug. 4, 2013. Hunt, John "Jack" 77, of Apollo Beach, died July 29, 2013, at Manatee Memorial Hospital of complications following surgery. Jack was born in Baltimore, MD, on December 9, 1935, to the late James C. Hunt and Helen (Dunn) Hunt. He is survived by his wife of 54 years, Sue; daughter, Patty; son Tim and wife Christine. Jack attended Little Flower Elementary School and Baltimore Polytechnic Institute; Princeton University, B.S.E., where he lettered in football, wrestling, and lacrosse. He later attended Harvard University and earned an Ed.M. and Ed.D. He served in the US Marine Corps as a naval aviator. 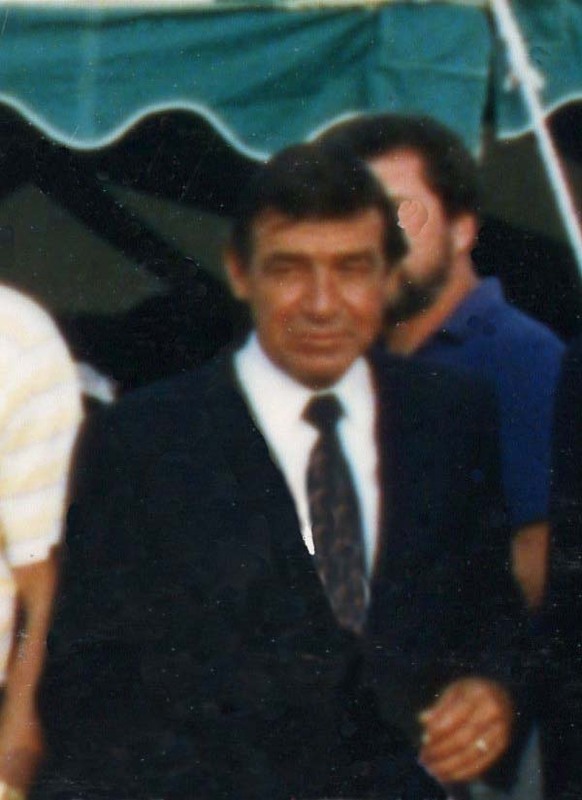 Jack was Assistant Superintendent of Schools in Greece, NY, from 1967 - 1969. He served as Superintendent of Schools in Hightstown, NJ, from 1969 - 1979; Superintendent of Schools in Paradise Valley, AZ, from 1979 - 1982; and Superintendent of Schools in Jefferson County, AL, from 1982 - 1985. 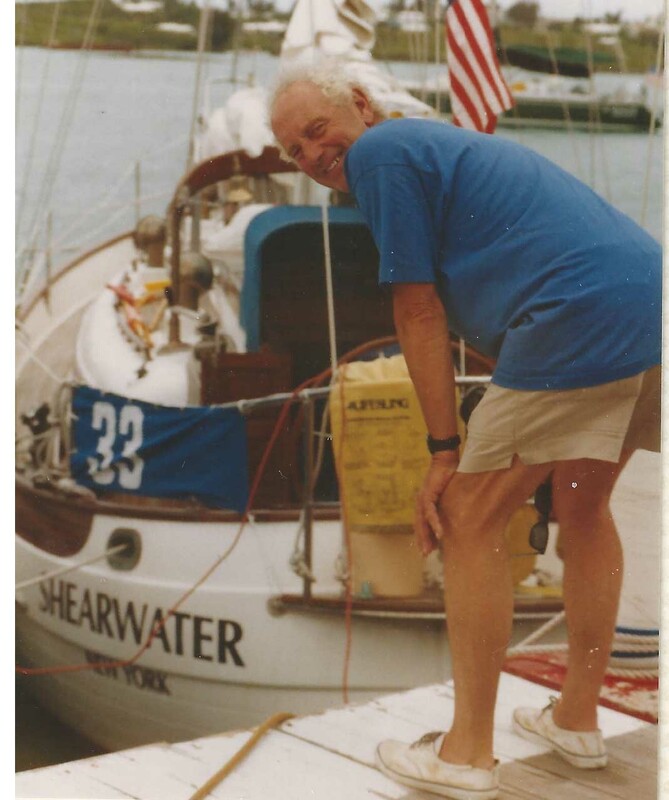 Jack's passion had always been sailing and he fulfilled his dream by sailing in the OSTAR Race twice, a single-handed race from Plymouth, England to Newport, RI. 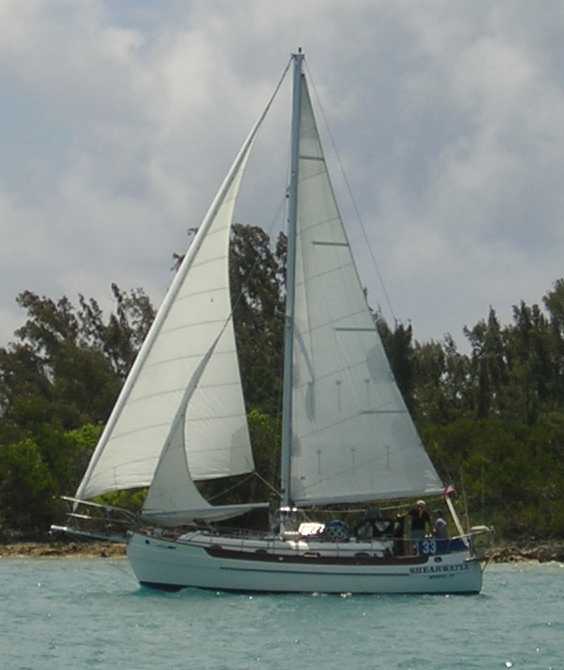 After his sailing adventures, Jack began his teaching career in the university setting both at USF Tampa Florida Atlantic University in Boca Raton. He enjoyed college teaching and retired as Associate Professor Emeritus from Florida Atlantic in 2004.
charity of your choice . 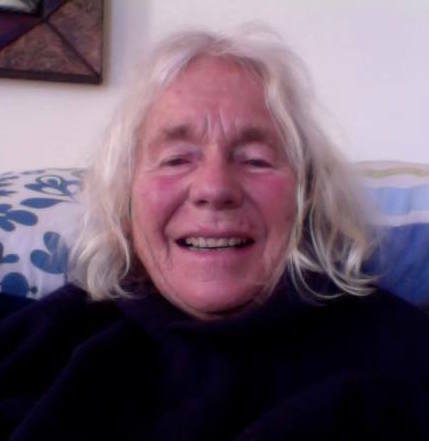 - Passed away 13 January 2019 at 70 after a long battle with Parkinson's Disease. - Bart raced in his Alberg 35 "Seascape" in 2001 and 2005. Barton Curtis Janney, 70, of Middletown RI, passed away peacefully early on January 13th 2019 after a long battle with Parkinson's Disease. Bart was born to Raymond B. Janney, II and Nancy (Roberts) Janney in Norristown PA on December 29, 1948. After a brief time in Delaware, the family moved to Marblehead where he began lifelong passions for sailing, ocean racing, and the guitar. 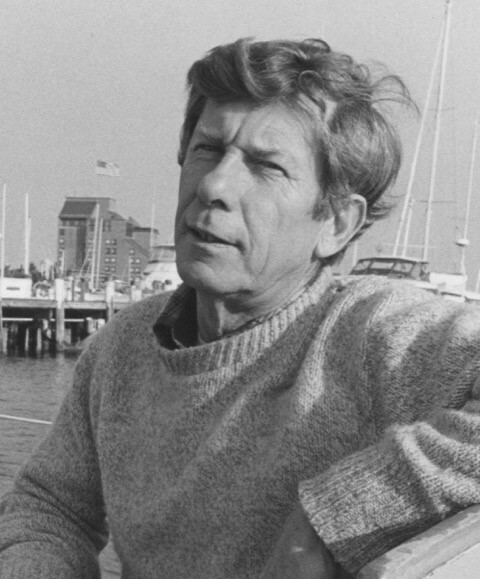 He served as Race Committee Chairman at the Pleon Yacht Club in Marblehead, and later at the East Greenwich and Newport Yacht Clubs. His passion for off shore racing was highlighted by competing in two Bermuda 1-2 races aboard "Seascape", two Marion to Bermuda Races and one Newport to Bermuda Race. He also once participated in a transatlantic yacht delivery, frequently raced locally in Narragansett Bay and to Block Island on "Counterpoint", and cruised to Cuttyhunk, Vineyard Sound and Nantucket, occasionally with great spontaneity! After graduating from Marblehead High School, Bart left Ricker College to play bass and lead guitar in several Boston bands in the early 1970's. 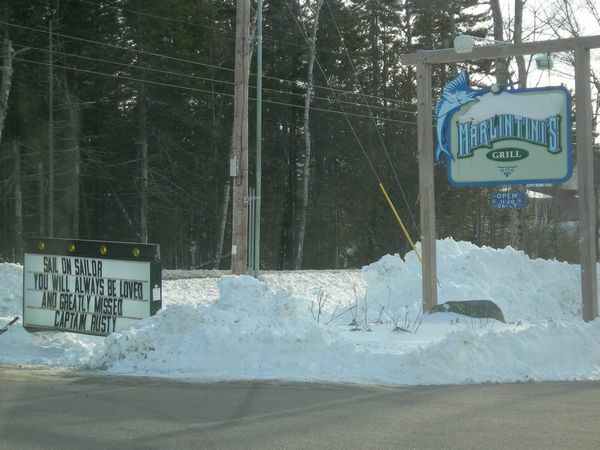 Eventually, he turned to a less raucous career in accounting which began in Rutland, VT where he built an accounting practice servicing several regional ski resorts. After selling this practice, Bart joined the management team for a German manufacturing firm. This led to a long career in finance management. In the 1980's he relocated to the shores of Rhode Island. While in Newport, he met his beloved wife Linda. After they were married Bart was named Chief Financial Officer for two Rhode Island boat builders, Sunfish Laser and Gunboat. His career tapered to various consulting roles as his health began to limit his mobility. Ultimately, Bart's medical conditions early and again later in life would not obscure his vibrant passions and pursuits and he will forever be remembered for his love of the water, his family, good humor and especially his resilience. 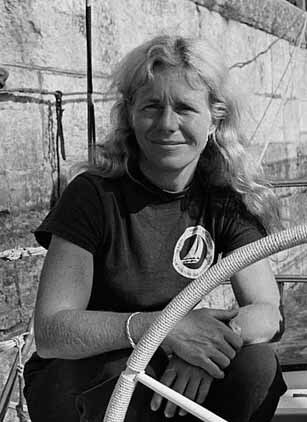 - Judith raced in the 1979 & 1981 Bermuda One-Two races. - Judith was in the 1980 OSTAR on Perfect Serta Sleeper. After doublehanding across to the start, she was dismasted half way across on the SH return during the race. She did the 1981 B1-2 Race SH on Freedom Song, 33' Freedom, and the DH return with Paul Petronello. Rockland — Judith Lawson died April 18, 2017, at Maine Medical Center after a brief illness. Her good friends kept vigil at her bedside. She was born Judith Wright Zillessen April 28, 1942. As a girl in Palm Beach, Fla., she was an avid steeplechase rider. She graduated from Georgetown University. She had a wanderer’s heart, a brave soul, and the calluses on her bare feet to prove it. Judith also became a tireless advocate activist for the sustainability of our blue planet home. - Passed away 18 September, 2014 at the age of 69 suddenly the result of a massive heart attack. - Warren participated in one Bermuda One-Two race in 1993 in his Hunter's Child (return crew was Steve Pettengill) as a trial run for Steve Pettengill's run in the BOC 1994-1995 race finishing in second place. - Warren was the founder of Hunter Marine Corp.
BLOCK ISLAND – Clifford Owen Mitchell, age 69, of Center Rd., died Saturday, Nov. 26, 2011 at the South County Hospital. He was the husband of Judith (Metz) Frazier Mitchell and the late Linda (McCullouch) Mitchell. Born May 9, 1942, in Newport, RI, he was the son of the late Earl L. Mitchell and Ruth M. (Steadman) Norlin. He was raised on Block Island and graduated in 1961 from the Block Island School. He enlisted in the US Air Force, serving during the Vietnam War. An avid and accomplished sailor, Clifford held a Captain's license and was a member and former Commodore of the Newport Yacht Club. He was the founder of the Owen L. Mitchell and Earl L. Mitchell annual Newport to Block Island regattas, which he ran for the past 30 years. He was a volunteer with Block Island Maritime Institute and a member of the Block Island American Legion Post 36. In addition to his wife, he leaves his brother, Frank E. Norlin of Middletown; his sisters, Nancy E. and William Sullivan of Portsmouth, and Susan and Raymond Abraham of Middletown; and his cousin, Lloyd V. Ripa and his wife Barbara of Middletown. Clifford was the Bermuda One-Two Event Chairman for the 2001 race. - Passed away: Lost at sea in 1994 while on leg 3 of the BOC approaching Cape Horn in his 40' Panic Major called MITAK. Harry was 70 years young. 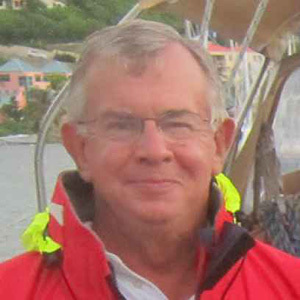 - Brian was the Bermuda One-Two Event Coordinator for the St. George's Dinghy and Sports Club since 2009 and performed duties as Dock Master and Commodore several times volunteering at the St. George's Dinghy and Sports Club for the past 20 years. - Many skippers have thanked him for towing them into St. George's Harbour with his power boat at all hours of the day/night due to a dead motor. - Passed away 14 October 2010. George was 70 years old. - George wasn't a skipper however George ran the Bermuda One-Two several years in the 80s and has helped the race ever since. George has also been involved in the BOC in the early years. George also helped out the foreign skippers when they arrived from sailing from Europe and ended up in Newport, RI. - The following is from the Newport Daily News October 16-17, 2010. George was born July 9, 1940. George was educated in the Newport Public Schools, graduating from Rogers High School in 1959. He proudly served in the U.S. Navy during the Vietnam Era. Upon returning from his service he worked as a photographer for the Newport Daily News and as an Operating Room Technician and Ambulance Driver for the Newport Hospital. He then joined the Naval Base Fire Department and was stationed at Quonset Point and the Newport Naval Base where he was a member of the International Association of Firefighters. Upon his retirement, after 26 years in the Fire Department, George was an Elementary School Aide in the Newport Public Schools. George was an avid sailor for most of his life. He was a life member of the Newport Yacht Club. He also was active in short-handed race administration. He chaired the Bermuda One-Two for ten years, was a member of the Race Committee for the BOC/Around Alone Race, and more recently was active in helping members of the Jester Race as they crossed the Atlantic. George was also a Past Commodore of the Goat Island Yacht Club and a member of the R.I. State Yachting Committee. He was also an avid golfer and a member of the Wanumetonomy Golf Club. George was a member of the Board of Directors of the Seamen's Church Institute and could often be seen in the wintertime distributing "Soup to the Docks" to the fishing boats at local piers. - Jeff ran the Offshore Races at the Newport Yacht Club from 1993 (when the Bermuda One-Two was moved to the Newport Yacht Club from the Goat Island YC) through 1999 which includes the Bermuda One-Two, Offshore 160 and New England Solo/Twin races. - Since then Jeff has been on the Offshore committee at the Newport Yacht Club supporting these races and was instrumental in providing the unique trophies especially for the Bermuda One-Two. - There will be a Celebration of Life on Friday, September 21, 2018 from 4PM to 6PM at Newport Yacht Club, 110 Long Wharf, Newport, RI. Burial will be private. He studied at Brown University, where he majored in English, graduating in 1955. While an undergraduate, he was a member of the Brown University sailing team, for which he served as the team’s president from 1954-55. He later earned his Master of Arts in Teaching degree from Brown in 1967. While in school, various summer jobs included unit director at Camp Massasoit (Cranston YMCA) 1954-55, sailing instructor at The Pine Orchard Club in Branford, CT 1955-56, and sailing instructor at Bristol and Barrington Yacht Clubs 1955-1960. Following his graduation from Brown in 1955, he was hired as an English/Sacred Studies teacher, sailing coach and dorm master at St. George’s School in Middletown, RI, where he remained on the faculty until 1971. He was the head sailing coach for his entire tenure at the school, and his dedication to the sport was recognized with his induction into the St. George’s School Athletic Hall of Fame in 2008. He also became involved in the Interscholastic Sailing Association, a commitment which spanned more than 50 years. 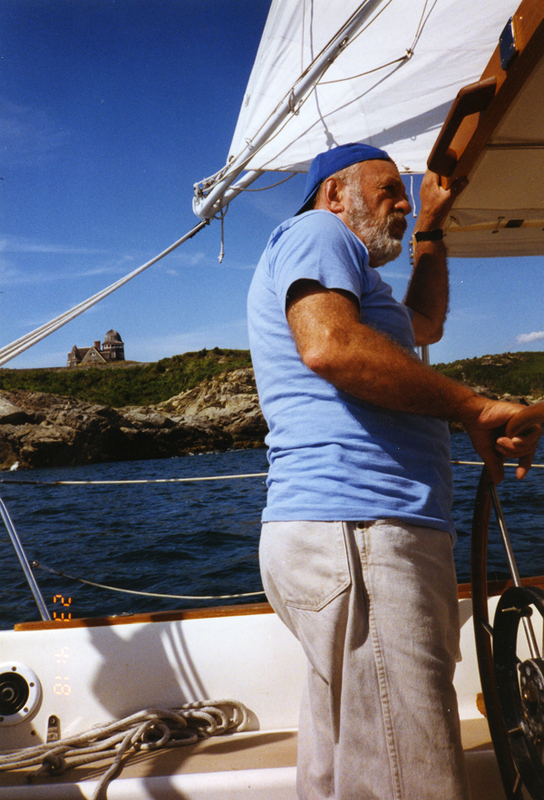 In 1958, he purchased Herreshoff Class S-Boat #52 which he re-christened Berserk. Jeff successfully raced Berserk for the next ten years, winning the class championship in 1968. 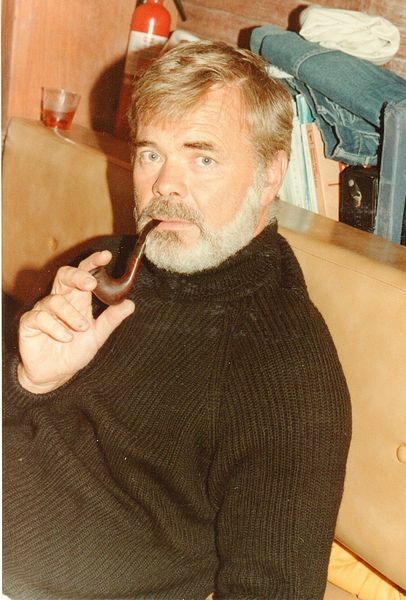 In 1971, Jeff left teaching at St. George’s School to become an associate editor at the fledgling Sail magazine, where he stayed until 1979 when the editorial offices moved. He then accepted the job of editor for a small, chatty newsletter called The Practical Sailor, steering that publication until 1987. In his final working years, Jeff was the sales room manager at Jamestown Distributors, retiring in 1998. 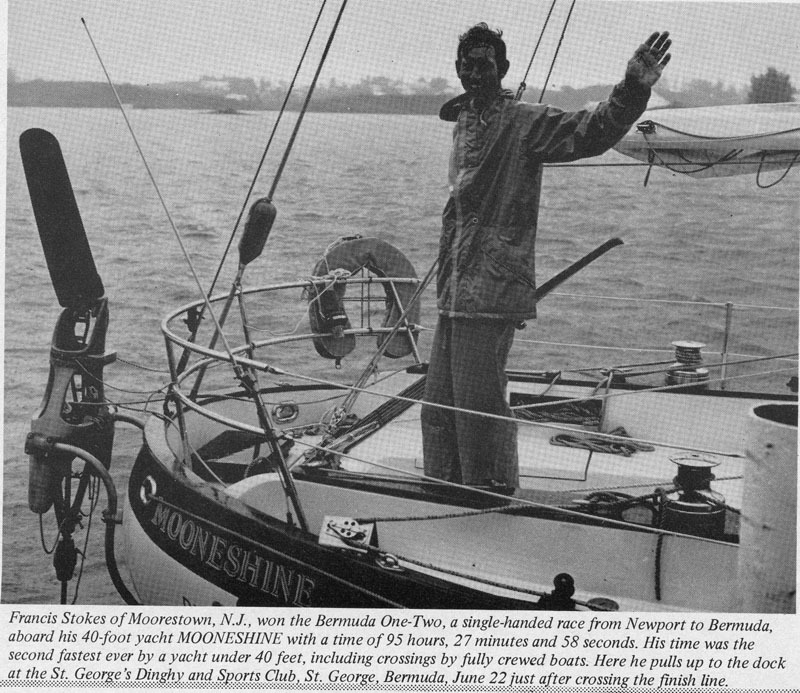 The highlight of Jeff’s racing career was being a member of a Newport to Bermuda Race crew in 1964 on Burgoo, a 37-ft Pearson Invicta, which was the lowest rated boat in the fleet, but finished first in fleet on corrected time. Another high point in his life was his reporting on racing for the America’s Cup, first as a reporter for the Newport Daily News in 1964, 1967 and 1970, and later as co-publisher with Barbara Lloyd of the America’s Cup Report in 1980 and 1983. This work made Jeff perhaps the most informed reporter of this premier racing event for 20 years. In addition to his writing, Jeff lent his insight and accuracy to his on-the-water broadcasts for WADK radio. Jeff’s last boat was Scratch, a one-off Bristol 33 custom yacht which he intermittently spent ten years building from just an empty fiberglass hull. Launched in 1979, Jeff spent the next 40 years both cruising and successfully racing Scratch in numerous fully-crewed races as well as shorthanded races with his wife, Betsy McClintock. 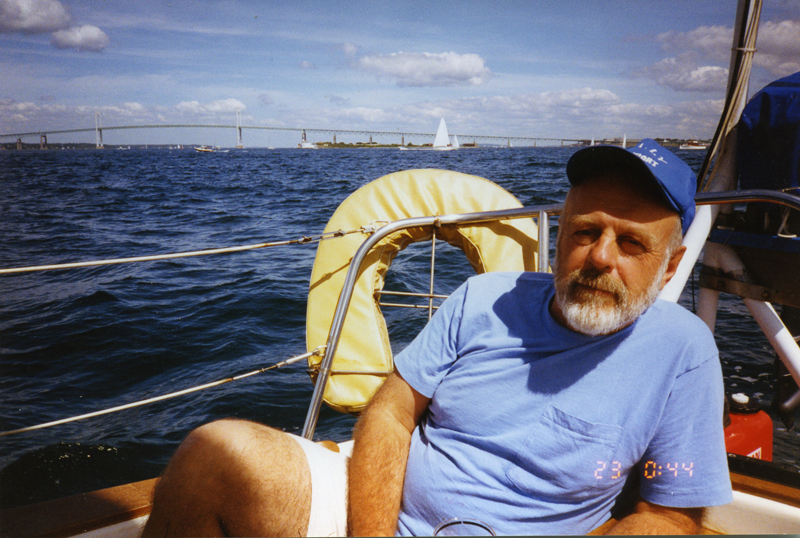 Over the years, Jeff participated in several Newport to Bermuda races, a Caribbean 1500 race, five Marblehead to Halifax races, and numerous Off Soundings races on his friend Bob Read’s Pearson 39 yawl Nepenthe. He spent more than 25 years managing/assisting with the race management of the Bermuda One-Two, Offshore 160 Challenge, and New England Solo/Twin Championships – three short-handed racing events co-managed by the Newport Yacht Club Offshore Committee. Jeff’s affinity for the water, sailing and racing was second only to his love of the written word. This included reporting on America’s Cup racing, covering a wide variety of topics while at Sail magazine, and his advocacy for his vision of product testing, industry watchdogging, and boatowner advocacy while at The Practical Sailor. His love for the sport of sailing, for fair and wellrun racing, and for nearly every boat afloat, was passionate and undeniable. - Francis is prominently featured in Phil Weld's Documentary "American Challenge"